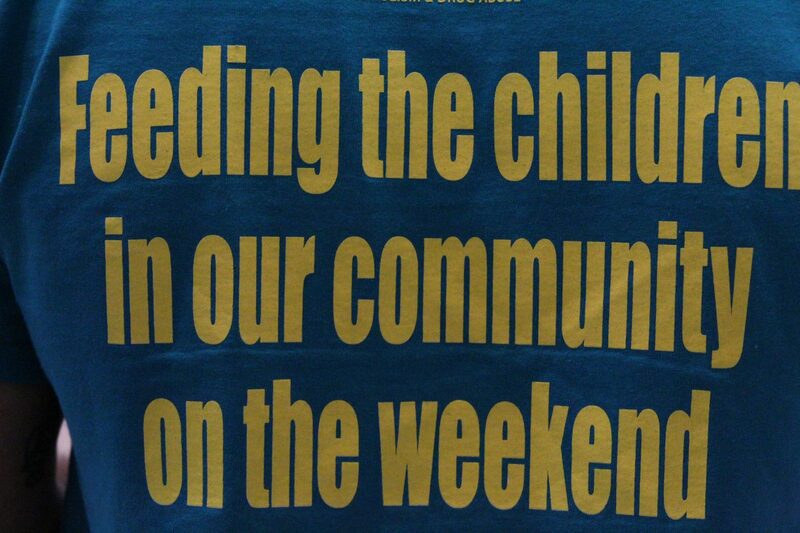 The back of an MTEA member’s shirt (Krystal Nurse/The Sun). 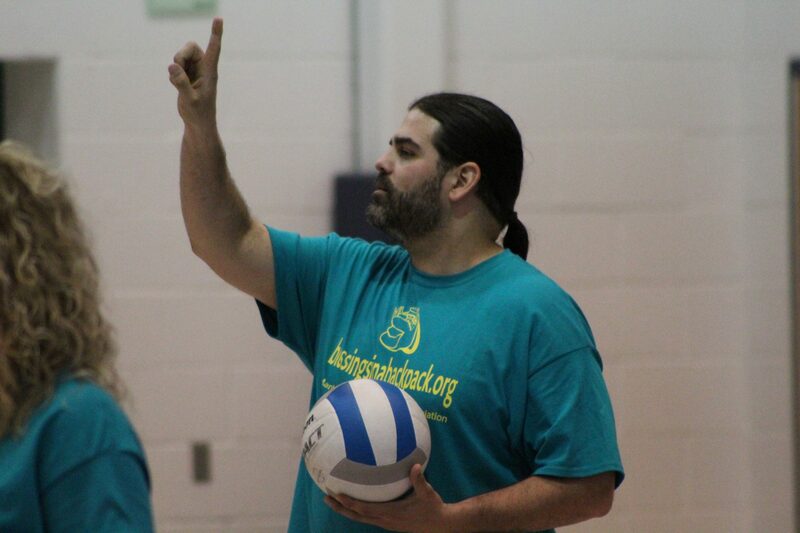 A teacher is pictured jokingly testing the gym for the wind direction before beginning the game (Krystal Nurse/The Sun). A teacher looks on after she hit the ball (Krystal Nurse/The Sun). 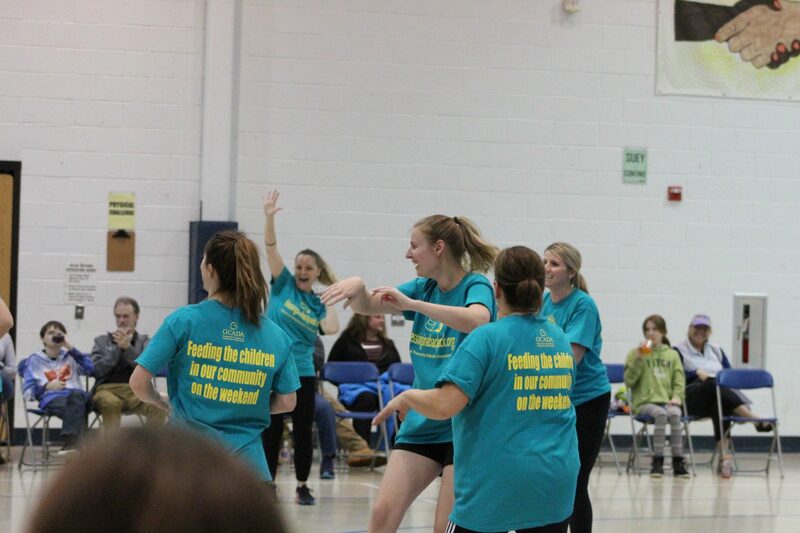 Teachers cheered after scoring on a successful rally (Krystal Nurse/The Sun). 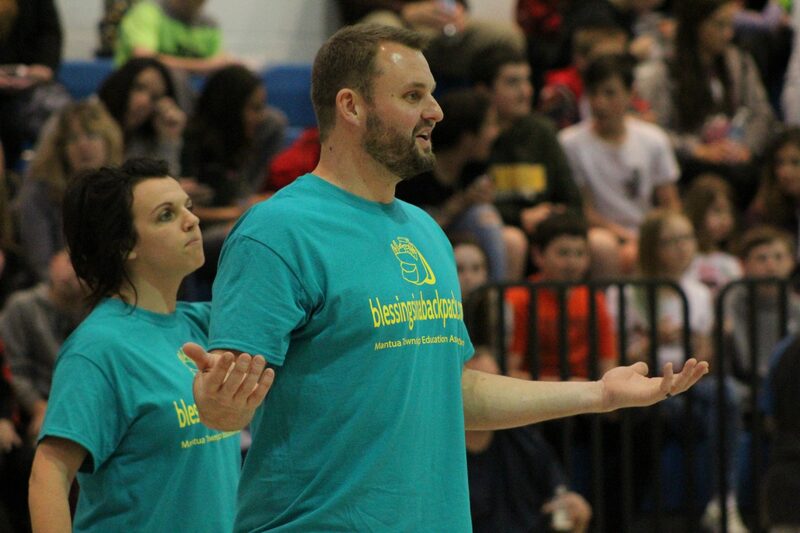 A teacher is picture in disbelief after a team called a timeout (Krystal Nurse/The Sun). 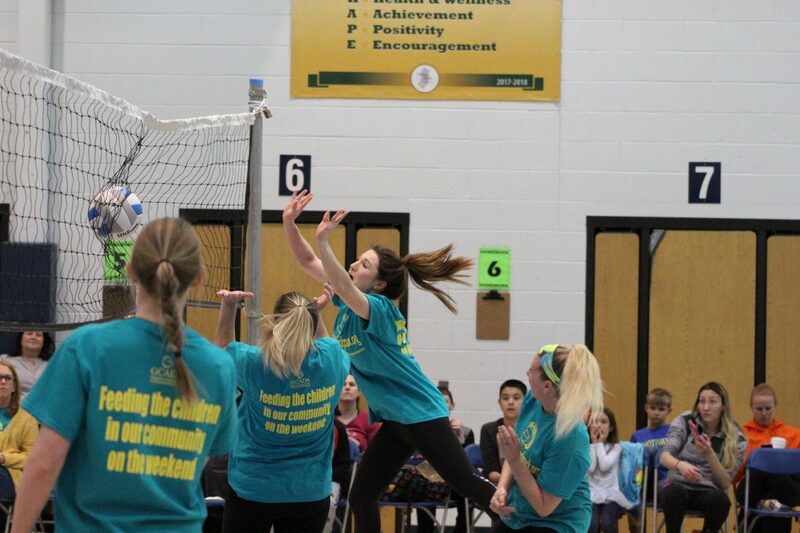 Teachers are pictured attempting to save the ball from hitting their side of the court (Krystal Nurse/The Sun). 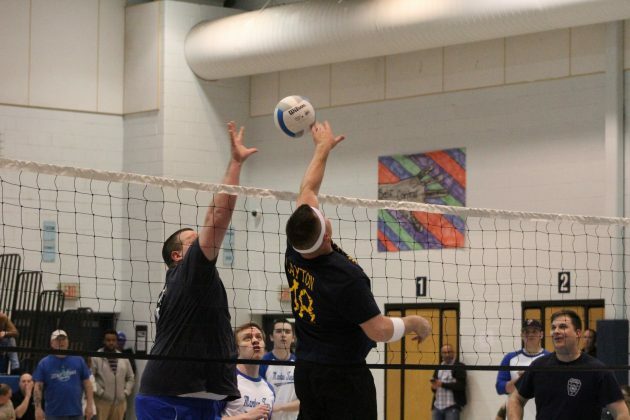 Firefighter Victor Torino served the ball to open the game between the fire and police departments (Krystal Nurse/The Sun). Kyle Riepen, of the Mantua Police Department, is pictured going in for a spike as the fire department prepares to block it (Krystal Nurse/The Sun). A firefighter and police officer are pictured attempting to land the ball on either’s side of the net (Krystal Nurse/The Sun). 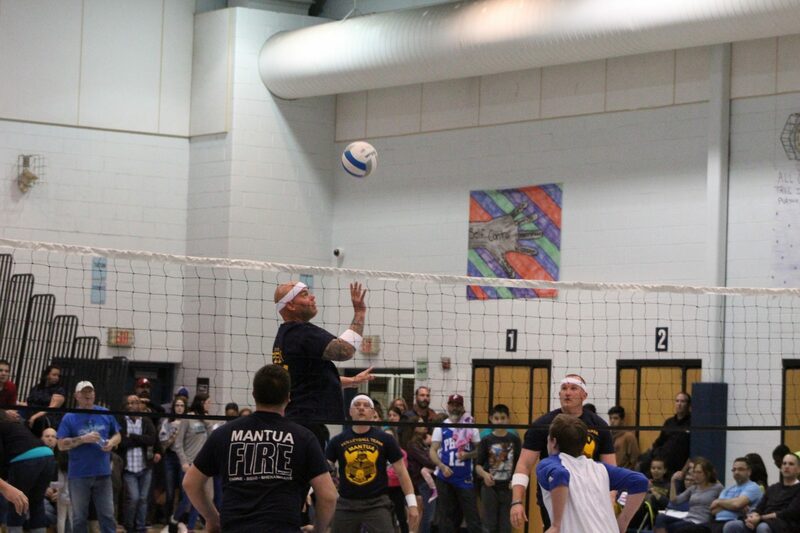 A firefighter and police officer clash as the two try to spike the ball on either’s side (Krystal Nurse/The Sun). 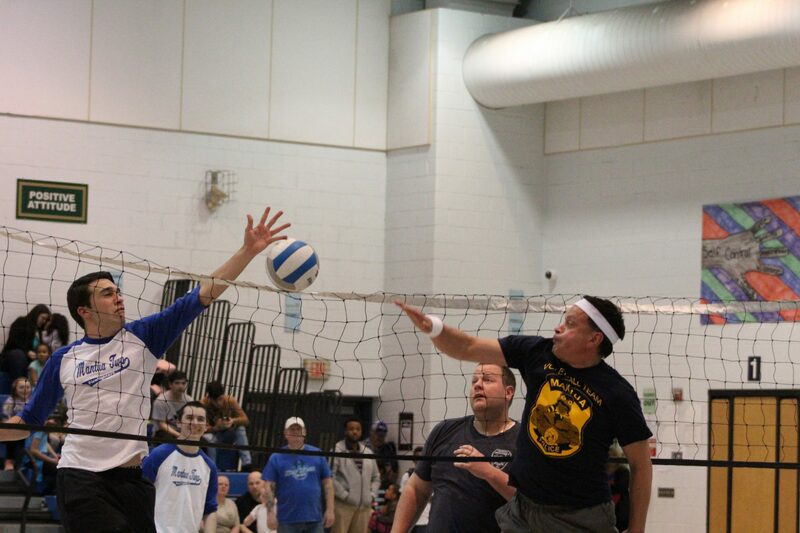 Chief Brian Hauss, left, attepts a spike as officer Rob Layton blocks it (Krystal Nurse/The Sun). 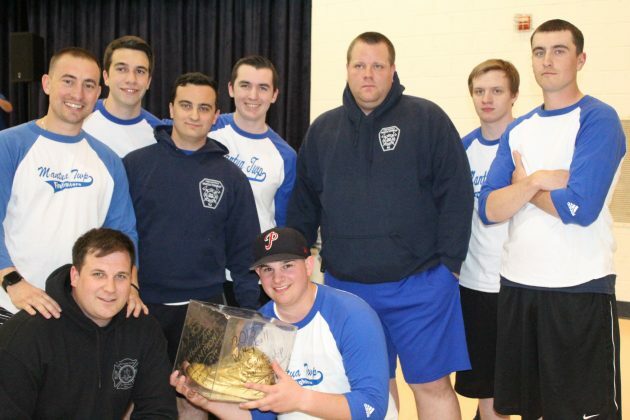 The fire department was all smiles after beating the police department for the Golden Sneaker (Krystal Nurse/The Sun). Police and fire department pose after the end of the volleyball tournament (Krystal Nurse/The Sun). 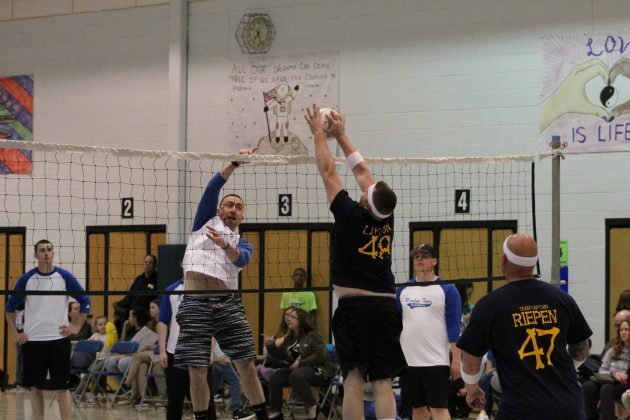 Mantua Township teachers and the police and fire departments faced off in a friendly volleyball tournament to raise money for the Blessings in a Backpack Tournament. 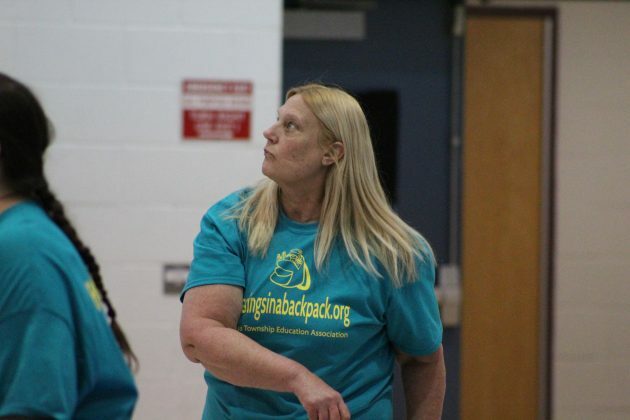 Every year since 2013, the Mantua Township Education Association sponsors the tournament to raise funds to provide meals to children in need in the district. 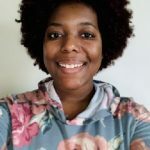 According to Blessings in a Backpack’s website, it costs $100 per student for a 38-week school year to supply them with food over the weekend, and nearly 13 million kids in the country don’t have food over the weekend. To date, the organization said it has mobilized support from 1,092 schools in 45 states to feed more than 87,000 children. The MTEA said it hosts various fundraisers throughout the year for the organization, with the volleyball tournament being the largest. 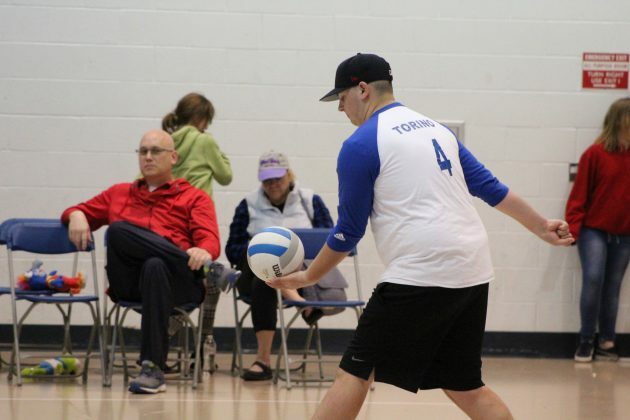 “Everyone knows that it’s benefiting the children and it feels good to help them out,” said School Resource Officer Jim Fellon, who helped get the police department involved in the fundraiser. 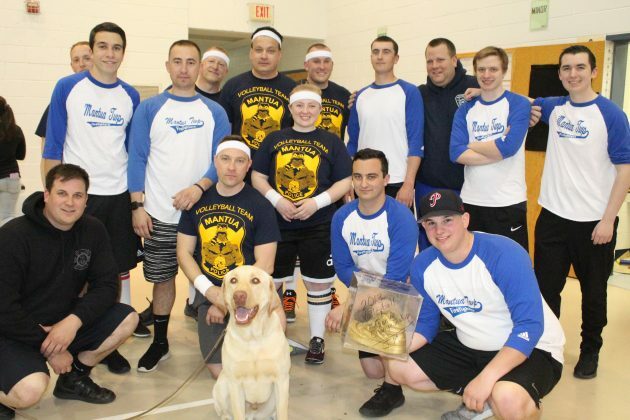 During the event, raffle tickets were sold for 50/50 prizes, gift baskets and certificates donated by local businesses to pull in more funds for the organization. It is not known how much the organization raised on April 11. Hauss added the fire department supports the organization throughout the year by providing space for the teachers to gather and sort food for the students, and would collect goods during its Santa Run. On occasion, he said people will sometimes donates funds to the department after they cleared an incident at their homes or cut down trees, and it gets deposited to an account that’s only used to make donations to community organizations such as Blessings in a Backapck and the Edelman Fund, which funds Rowan University’s Edelman Fossil Park in Mantua. J. Mason Tomlin Elementary School’s second team won the teachers’ tournament and the fire department beat the police department to claim the Golden Sneaker.